villas and condominiums. There are high-rise condominiums that are afforded beautiful views of Estero Bay. Single family homes are spacious estates. Most properties were built between 2000 and 2007. Amenities include a member-only clubhouse featuring a restaurant, lounge, golf pro shop and locker rooms. 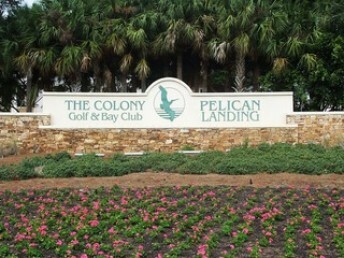 Perhaps most popular is its signature 18-hold championship golf course designed by Jerry Pate. There is equity golf membership available to residents. Schools in the vicinity are Spring Creek Elementary, Bonita Springs Middle School and Estero High. Nearby communities include Fountain Lakes, The Brooks, and West Bay Club.